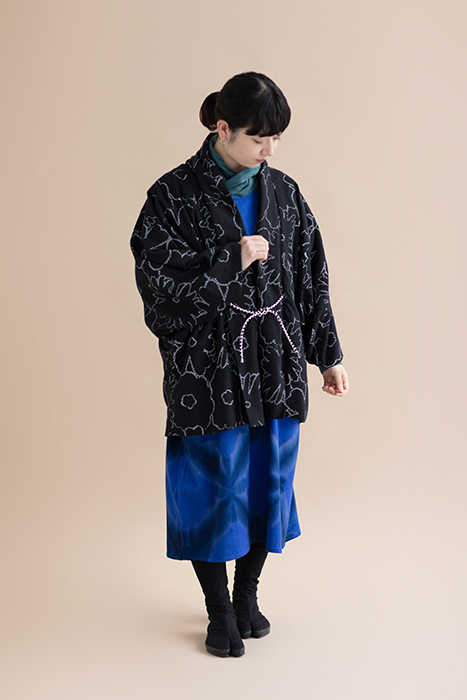 The design is inspired by “Katami gawari”, the design that features one side of the textile with the pattern and the other side of the fabric with solid color or asymmetric pattern. 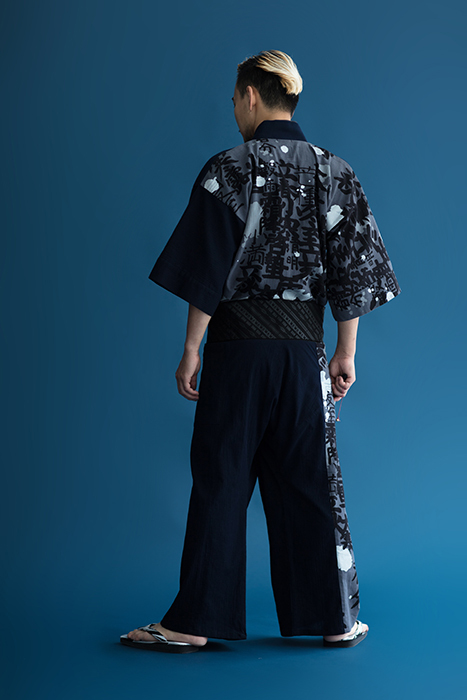 This design was very popular among samurai lords around Momoyama period. 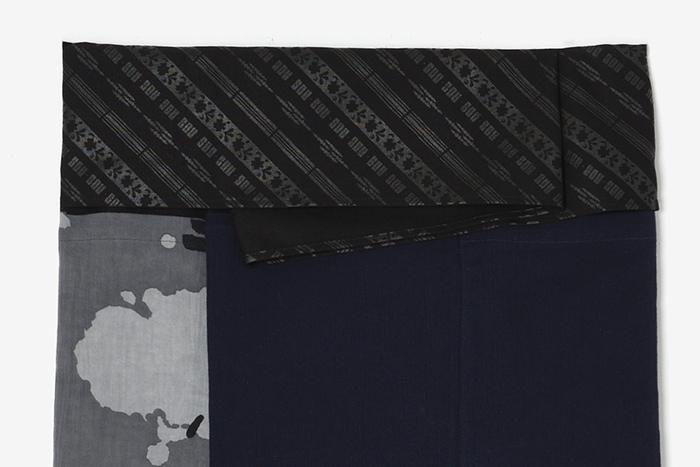 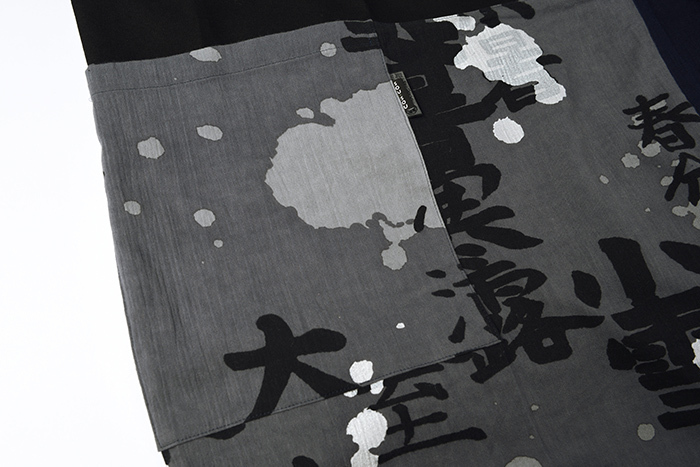 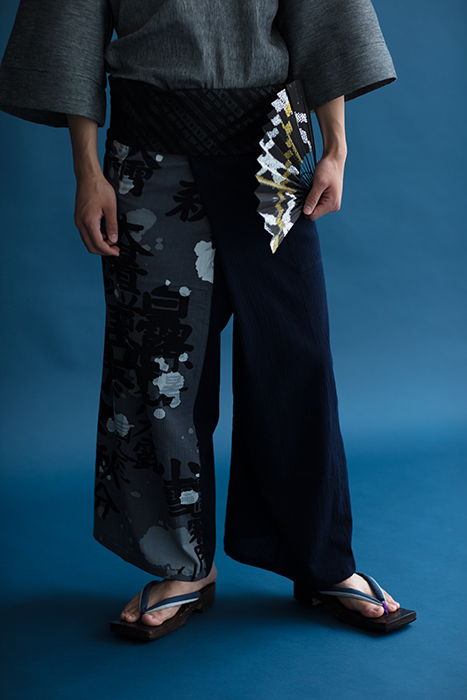 ・The material used for these beautifully printed pants is premium Takashima chizimi crepe cotton. 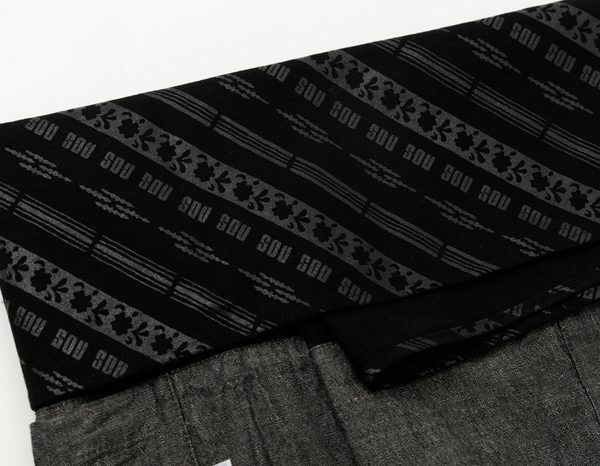 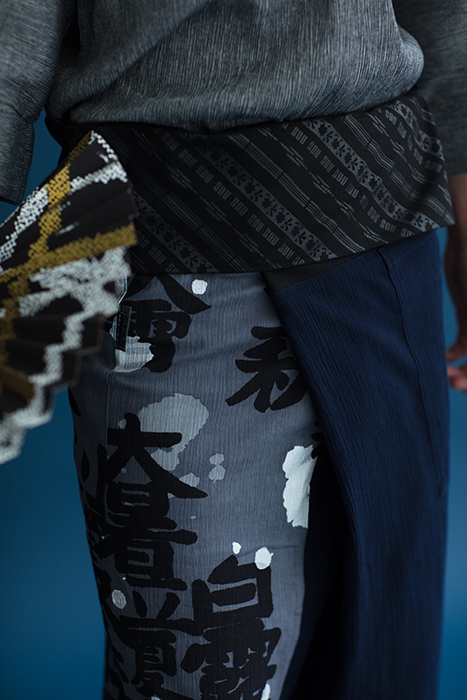 ※Due to the hand printed nature of the fabric, no two garments are exactly alike. 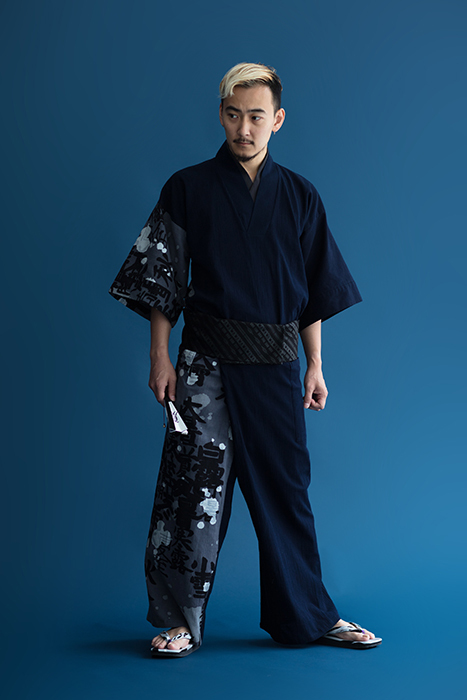 Cotton crepe fabric or “Chizimi” in Japanese, with origins dating far back, was introduced to Japan by Ming dynasty weavers in the Tensho year of the Momoyama period (circa 1573). 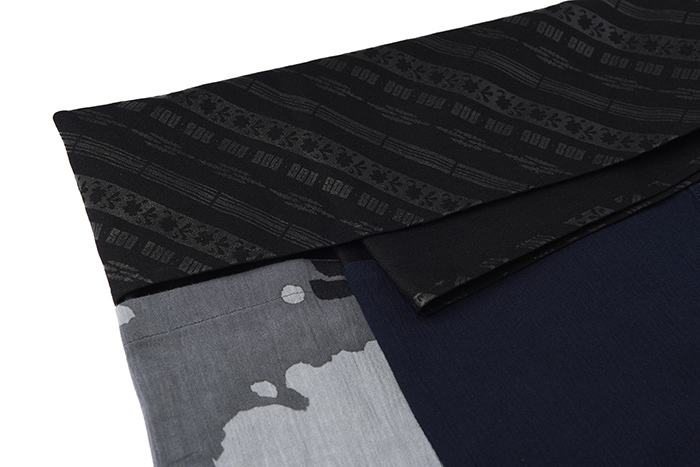 By strongly twisting the weft yarn during weaving, it produces a material that can retain its shape despite stretching or pulling. 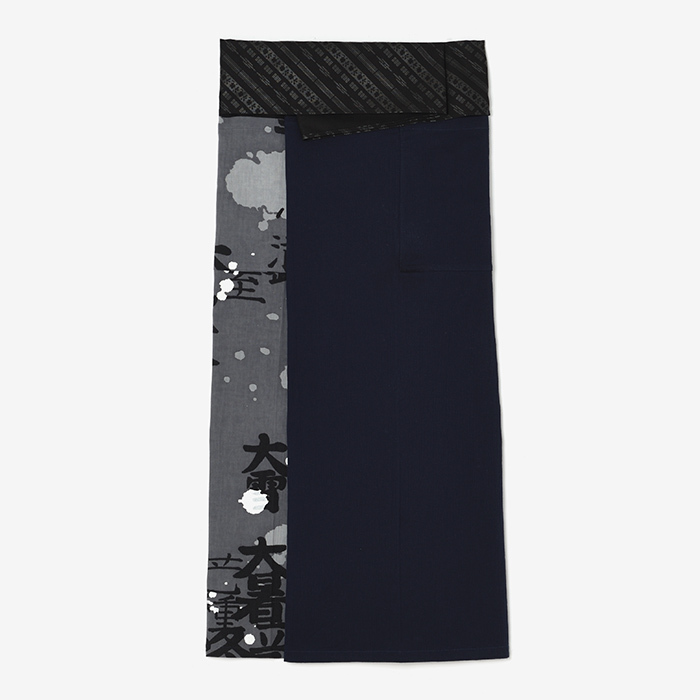 ・Chizimi is very breathable and effectively absorbs sweat, keeping you feeling fresh and vibrant all day long. 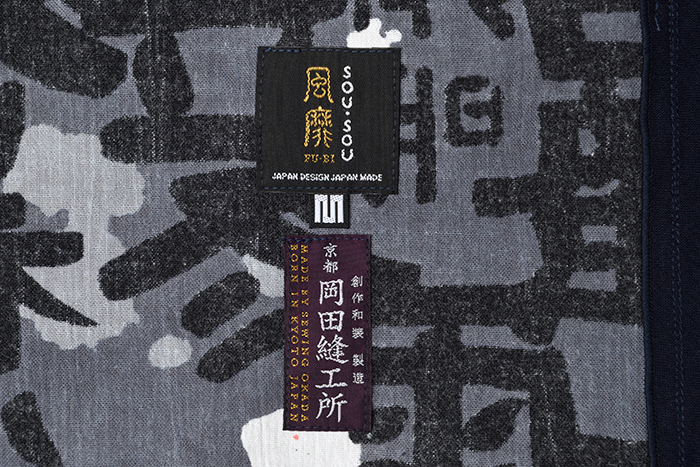 Chizimi crepe cotton is one of Japan’s finest textile exports, and SOU SOU is very proud to offer a wide variety of products made of this versatile fabric. 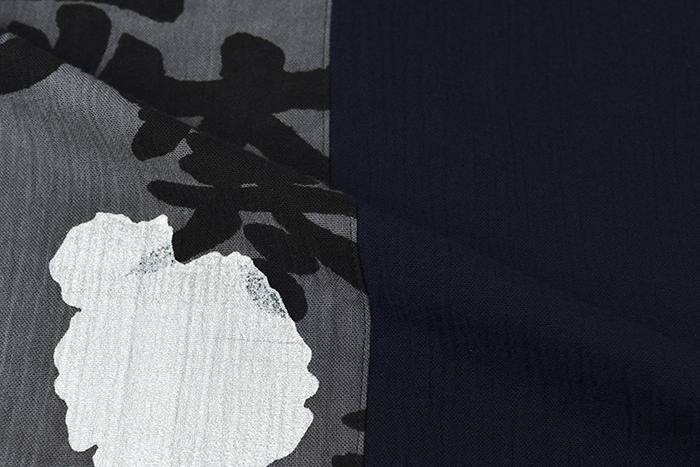 ※To keep the crepe texture intact, please do not use an iron. 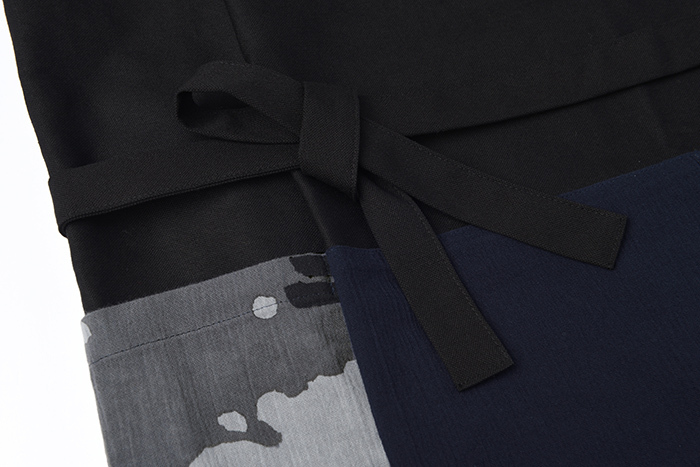 ※Immediately after washing, lay flat to dry and preserve the shape of the garment. 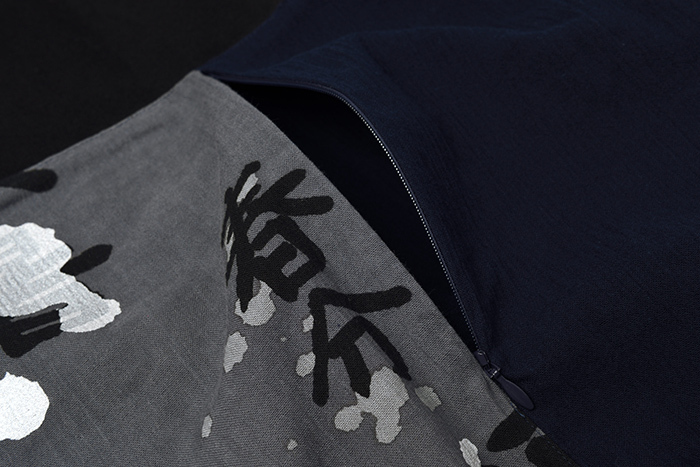 ※When wet do not stretch the garment, lay flat or hang upside down to air dry. 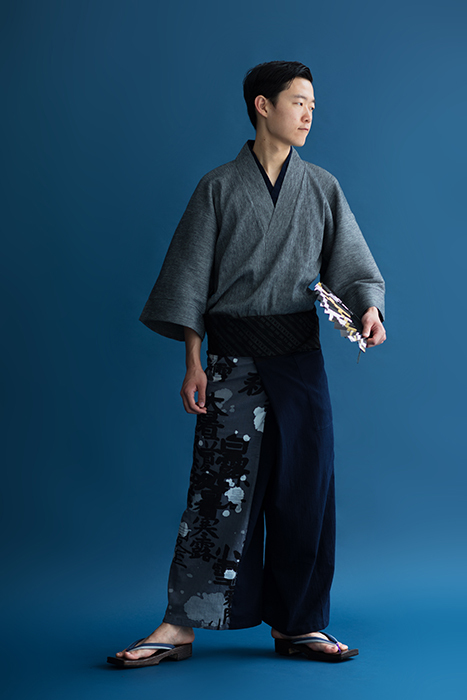 ※Size dimensions may fluctuate slightly from those listed above due to the material used. 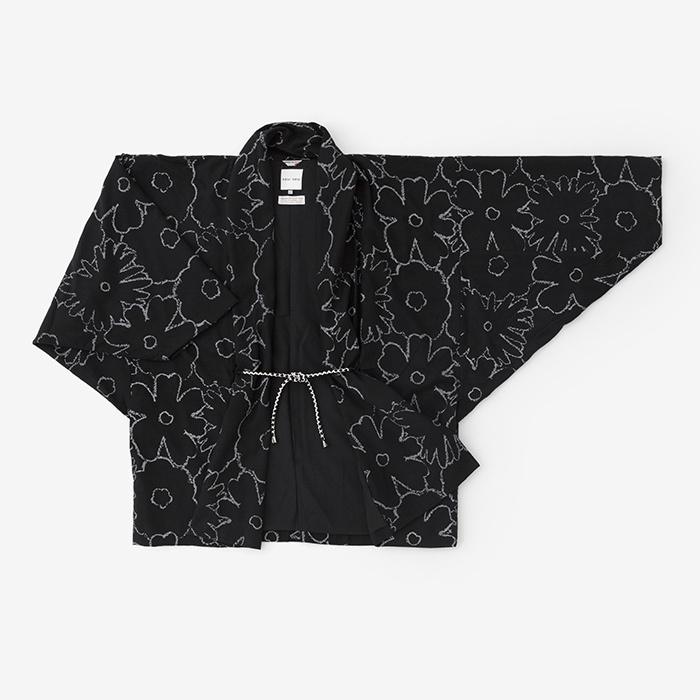 ※Due to the embossed crepe cotton material, the garment will shrink inwards width-wise. 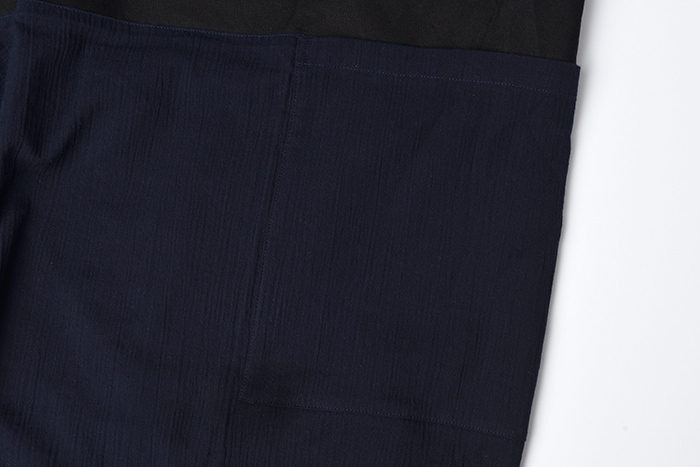 Reshape by tugging gently on the sides to its original width when air drying. 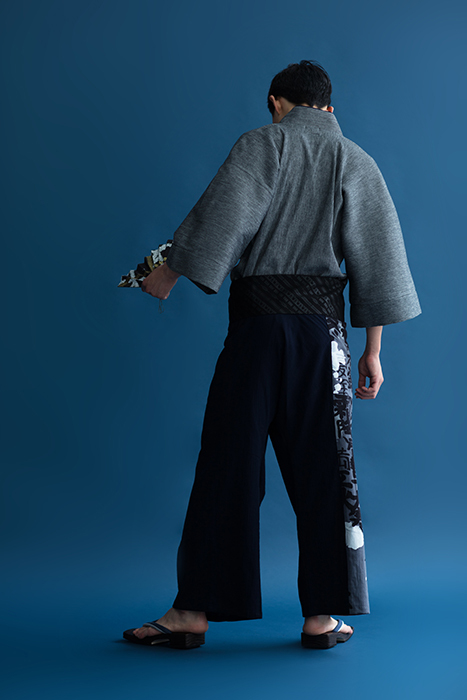 ●Print by Kyobi Print Ltd./ Nishida Dyeing Corporation / Quester / Murata Dyeing Co., Ltd.